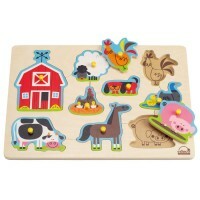 The wheels on the bus go round and round as your toddler finds the right place for each of the 6 pegged wooden puzzles pieces on this adorable singing puzzle! 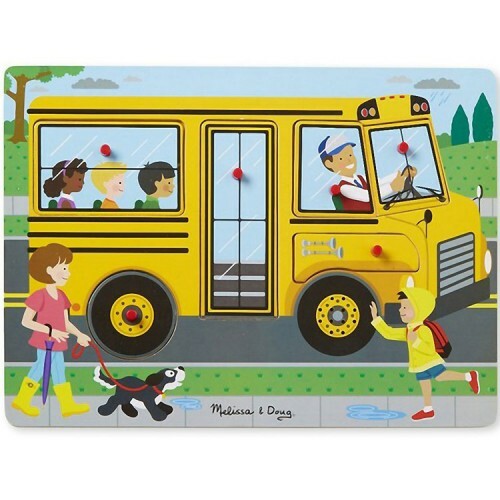 The wheels on the bus go round and round... 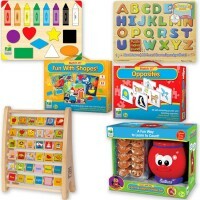 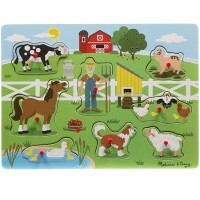 Sing your favorite nursery rhyme as you put this colorful puzzle together! 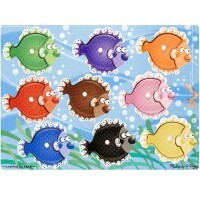 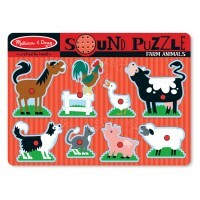 This new vehicle sound puzzle is designed by Melissa & Doug for the little hands of young sing-along fans. Made to last, this wooden puzzle brings your toddler's favorite school bus with 6 pieces to put in the right puzzle spots and listen to 6 verses of The Wheels on the Bus song. 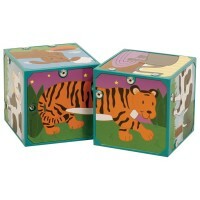 Lift pieces in any order and see and hear tot's favorite song come to life! 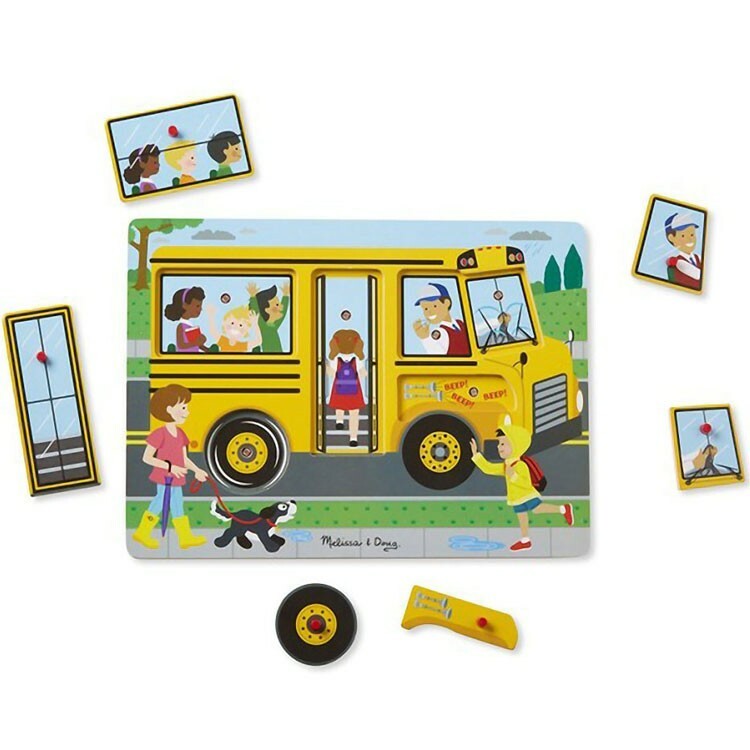 The Wheels on the Bus Peg Sound Puzzle includes sturdy puzzle pieces showing the bus doors, driver's window, passengers' window, horn 'beep-beep-beep' part, wipers, and wheel. 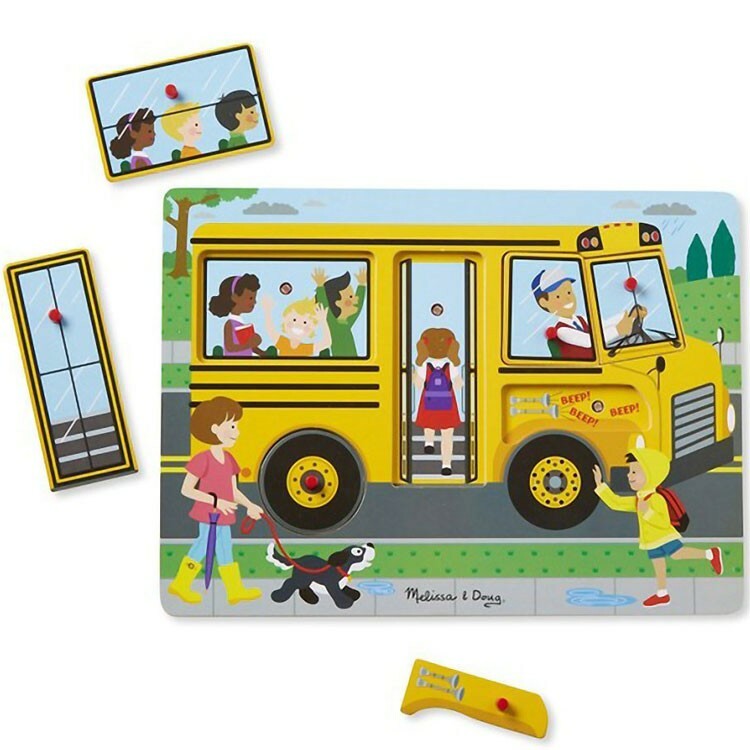 Each school bus puzzle piece has a plastic peg that makes it easier to grasp for the little kids. 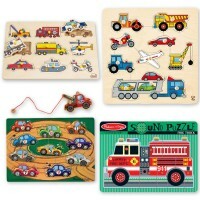 The school bus wooden puzzle requires 2 AAA batteries (not included). 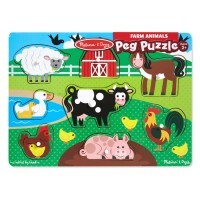 The Wheels on the Bus Peg Sound Puzzle from Educational Toys Planet is a perfect first puzzle that helps kids to develop dexterity and brings musical fun ... all through the town! 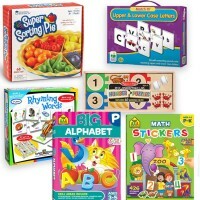 Dimensions of package 0.65" x 8.65" x 11.8"
Write your own review of The Wheels on the Bus Peg Sound Puzzle.